Attention all you gift givers! It’s time to get your holiday shopping in order and package up those pretty presents with pizzazz (say that three times fast)! Some of you are all about the quickness of a download, and some of you crave a little DIY project for just about everything. 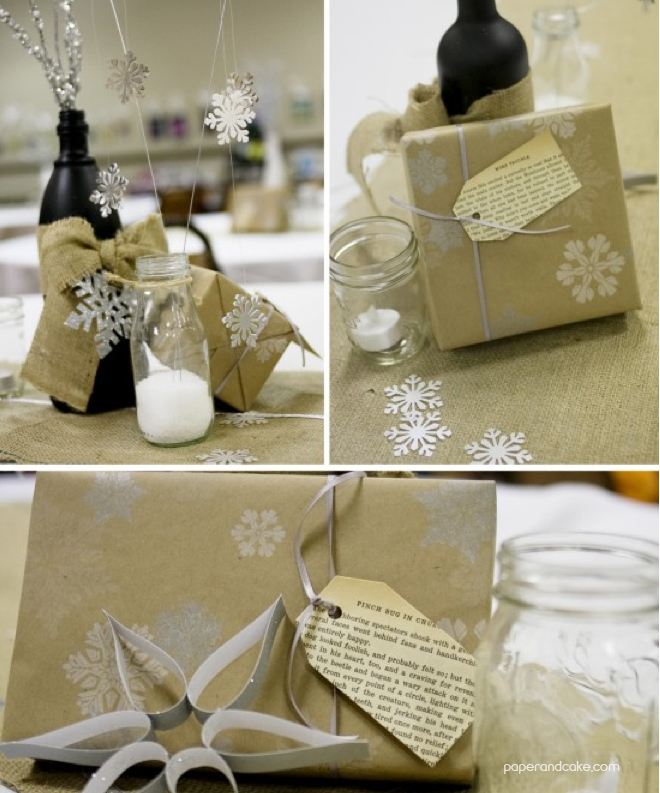 Sooo to please everyone, we’ve put together a little compilation of some easy and modern gift tag ideas. 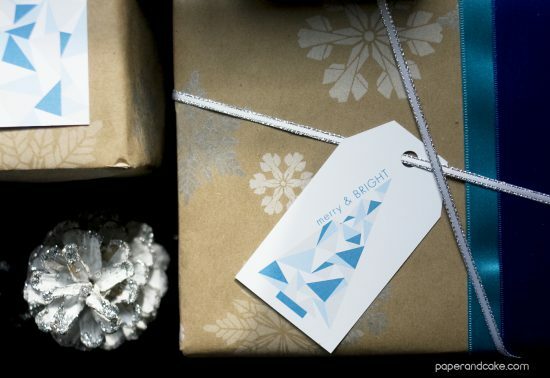 Starting off with the easiest of all, we have these super cute, and very modern printable Geometric Gift tags…. for FREE! This mini collection, actually comes with 3 different styles of gift tags for you to choose from. 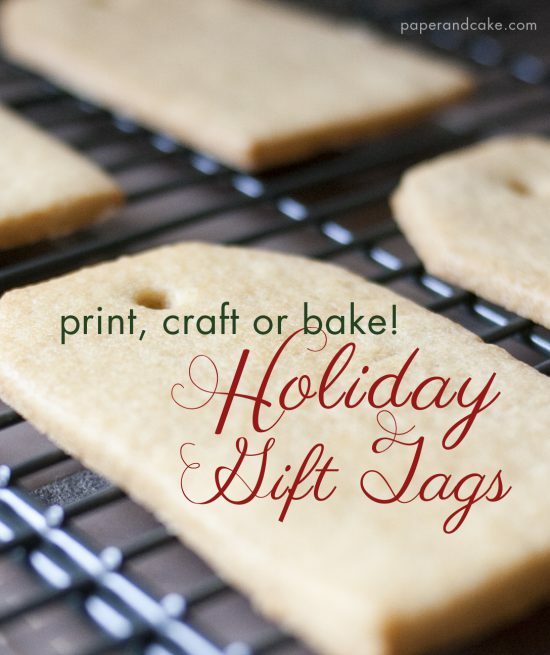 So, if you need a quick fix with style, download your Paper and Cake Holiday Geometric gift tags immediately! 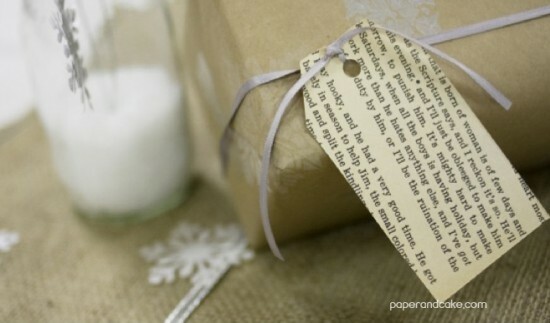 Next up we have these adorable book page gift tags which are super easy, yet look very crafty! All you have to do is cut out a rectangle from any book page (we used Tom Sawyer), cut the corners on one end to create the gift tag shape, and hole punch! Ready, set, bake! Create an edible gift tag or cookie garland with this super easy cookie gift tag! 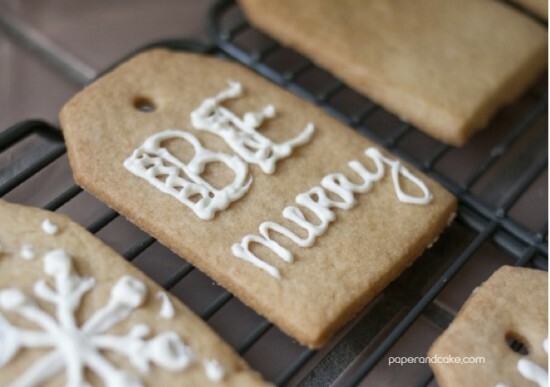 This holiday cookie can be used as a gift, or an extra treat atop a present. 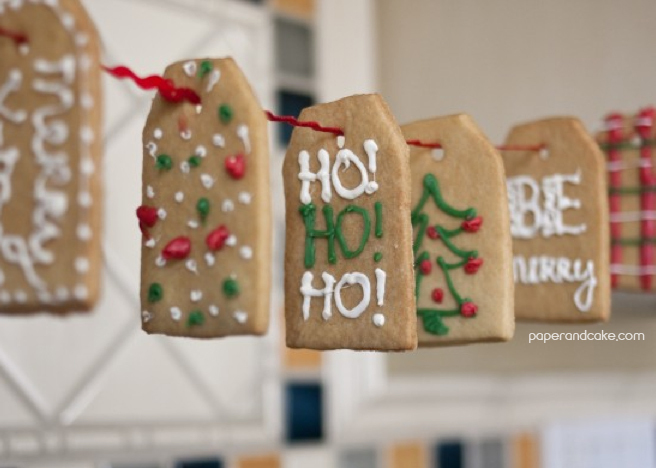 Check out our full blog post on our Cookie Gift Tag Garland to see how to make them yourself! Get creative this year and add something new to your gift giving. Happy Holidays everyone!